An exhibition of works by regional basket makers, and fiber artists using primarily botanical fibers, to create vessels and sculptural forms to celebrate the local environment’s natural diversity and abundance. 'A Sense of Place" explores what it means to put a modern twist on age old skills and to reflect a connection to that environment. 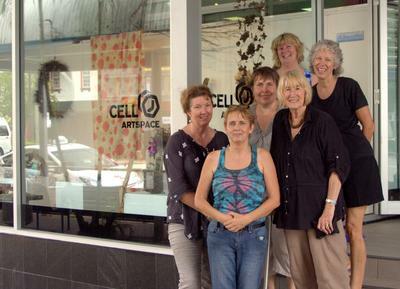 Tropical North Queensland allows artists the use of a plethora of natural fibers combined with unusual materials and techniques to create an array of contemporary artworks. These pieces are offerings by Bonnie Alison, Marcia Bird, Pamela Hall, Andy Linklater, Pam Kusabs, Rose Rigley, Emma Rochester (fabric),Toni Rogers, and a burgeoning group of basket makers, while new to their craft are integral to this exhibition. Pieces by Joanne Wood (ceramics) – Mackay, Qld are included to depict another place. 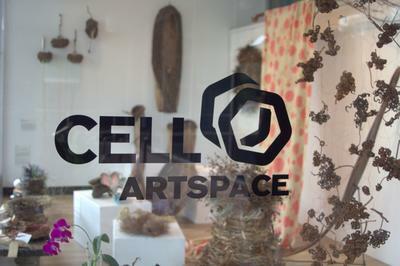 Exhibition Launch on the steps at Cell Art Space on Friday 8th March at 5.30 pm. Tony Roberts, Interpretive Officer from the Botanic Gardens Visitor Center, will be opening the exhibition. 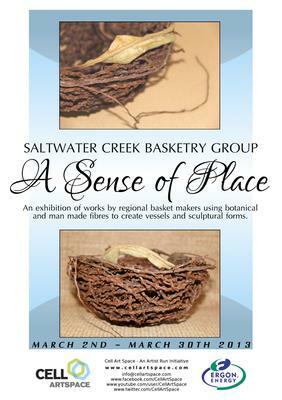 In conjunction with the Women in the Arts 2013, presented by the Knock Knock Contemporary Artists Initiative, members from Saltwater Creek Basketry Group will participate in a Skills Sharing event to highlight the crossover between contemporary art and contemporary craft. This event is to be held on Saturday 16th March from 10.30 am – 1.00 pm, at C.1907 Contemporary Art Space, City Place. Jill, I believe that all you need to do is 'Join' the event at the above link to RSVP. I have not been made aware of number restrictions. Are bookings needed for your Skills Sharing event? If so, how would you like people to do that? Telephone? Email? Website? It all sounds very interesting and I can see that participants could then make use of the plethora of vines, fronds and roots available everywhere.